Maybe the best way to get higher item level is by using Astral Diamonds. 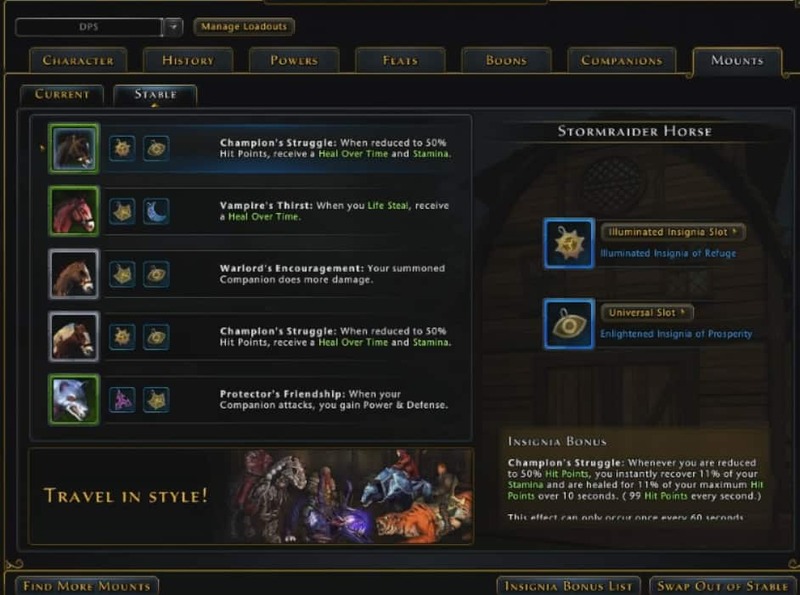 You can use AD to buy gear, enchants, mounts, companions and even to skip campaigns. See our Astral Diamond guide, for methods on how to make hundreds of thousands or even millions of AD per day. First things first! Getting some new gear after hitting 70, to increase your item level. 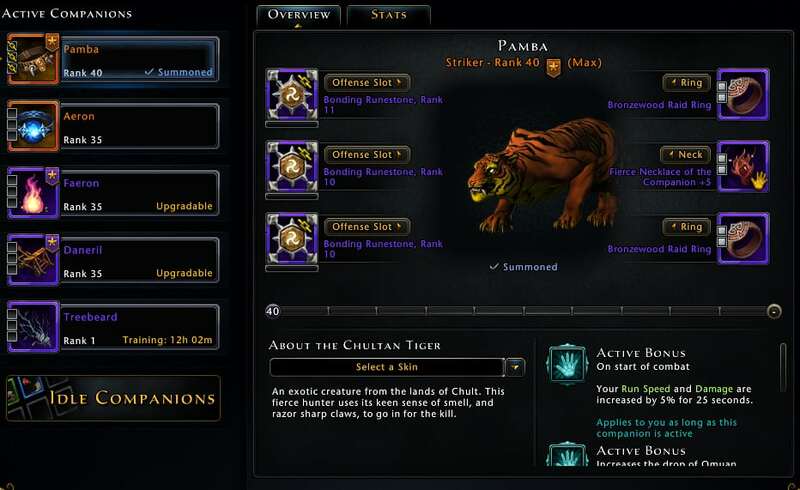 To see what gear is best in slot for your class, go to our Neverwinter class guides. As soon as you hit 70, you will want to to the quets “Unwelcome Guests” from Lord Neverember in Protector’s Enclave, which leads to “Welcome to Barovia”. After completing these two quests you will get a Vistani Reward Box with item level 460 gear for all your slots, that are even slotted with enchantments. The quests are very easy, but if you are struggeling, pick up some cheap armor, potions and whatever else might help you on the AH, or get help from someone to complete the quest. 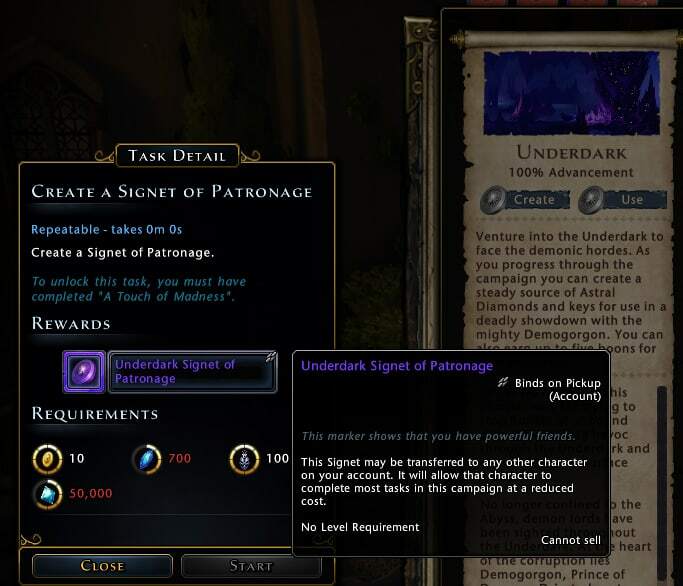 Good news, right now weapons are easy to come by in Neverwinter. Primal Weapons are the a good choice for most classes at the moments. They can be bought for Seal of the Brave at the trader in Protector’s Enclave for 750 seals each. 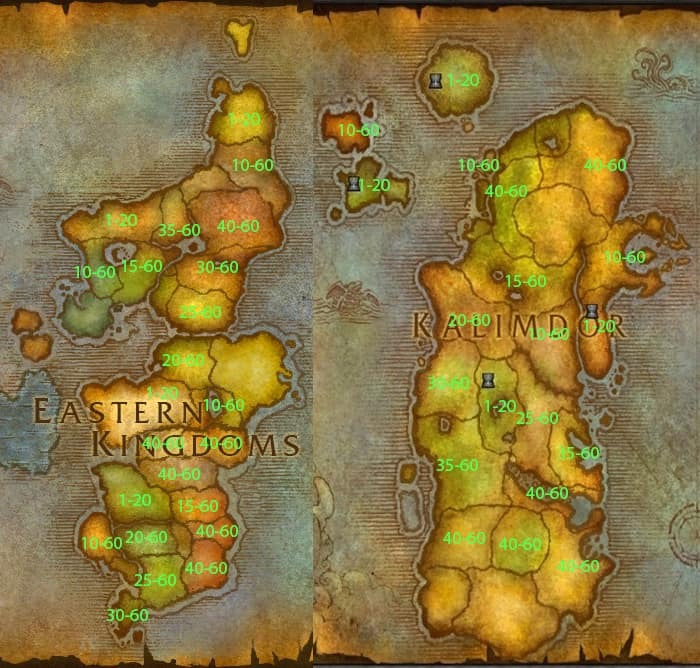 Seals are farmed by doing dungeons, heroic encounters and random queues. This should only take a fresh level 70 a few days. After getting your Vistani gear, and Primal Weapons, you can start saving your Seals for Primal gear. 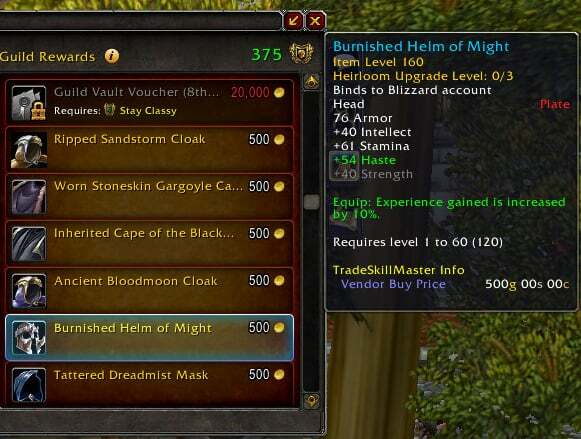 As of mod 15, you can also buy cheap 500 and 510 crafted gear on the AH. The next step when it comes to armor should be to get your best in slot items. These are mostly from hunts in Barovia and from Castle Ravenloft. 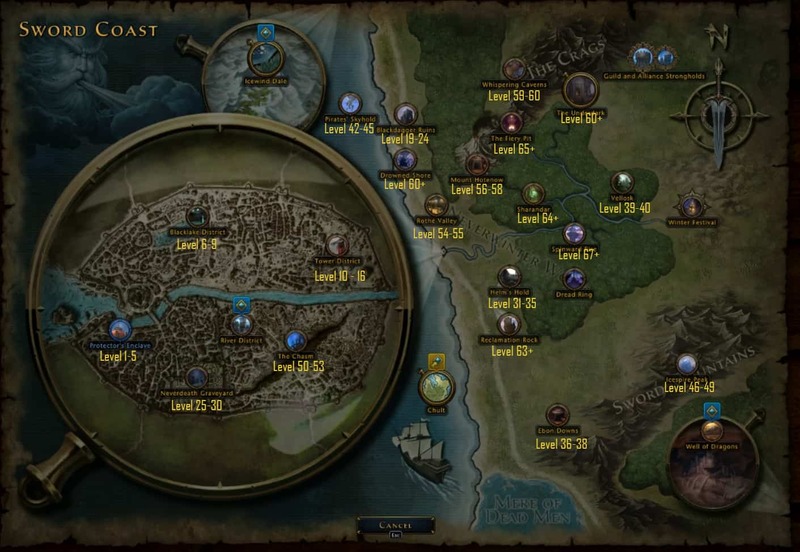 To see suggestions for your class go to our Neverwinter class guides. One star hunts can be soloed by most players for gear, and two star hunts should can also be soloed after you get your item level over around 12-13k. But it is easiest to either find a group in Barovia or join a guild that runs hunts. Hunts are generally very quick and can provide you with a lot of best in slot gear. Items from hunts are account bound, so you can also farm these for on your main and give them to alts. Don’t put too much refinement into your set before you got the one you want for your class and build. Some builds use a full set and others break them up or use items that aren’t part of sets. For the most part, getting your cloak and belt probably won’t be too hard. 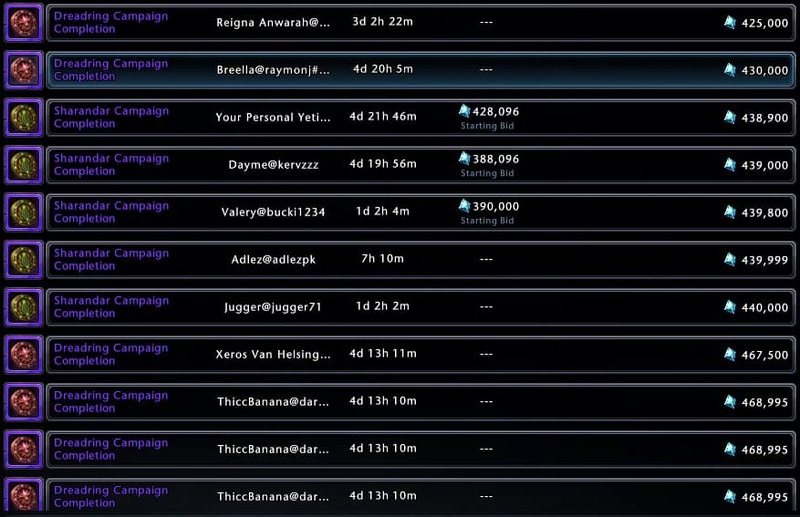 Some are bought through the AH for Astral Diamonds and others through campaign currencies. Once you have the one you want, you can start putting RP into them to upgrade them. Try to get them to atleast Epic quality as quick as possible, working to upgrade the whole set at once, rather than one item at a time. 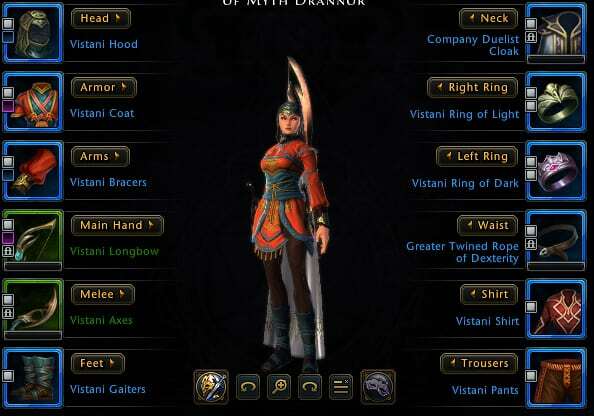 After getting your Vistani rings, like with the other gear, you can buy Primal Rings with seals. As DPS you will want to get rings with two offense slots, the easiest way is to buy Beaded or Bronzewood rings from the AH. Tanks can also pick up the Lichstone rings for two defense slots. For most classes the Ring of Offensive Action from Omu is one of the best rings in the game, and can be farmed quickly. Do “The Tyrant” Heroic Encounter in Omu for an item called “Bundle of Lich Lore”, these can be turned in to Makos for 3 Makos’ Favor, you can do this as much as you want. You can also get “Lich Lore” from Thayan mobs in Omu but these can only be turned in once per hour. The fastest way is to do a combo of both, and you’ll have the ring within a day. Getting you 6 weekly Chultan Treasures from Patrols in Chult, and 6 weekly ones from Patrols in Omu. Some info suggests that opening these chests early on Monday and Tuesday increases the chances of getting rings. 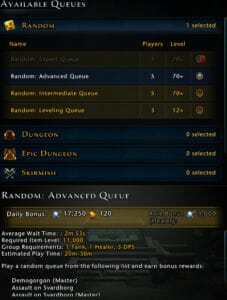 Completing Fane of the Night Serpent in Omu, once per week. First of all you can pick up Drowcraft shirt and pants from either farming Underdark content (heroic encounters, demogorgon and skirmishes) or you can buy them on the Auction House. Shirt and Pants of the Chultan Merchant drop in Merchant Prince’s Folly. They drop all the time and are a decent choice until you can get your best in slot. Lower and Upper Primal Paints will be best in slot for most classes and are bought with Omuan Treasures that can be farmed in Omu. As of mod 15, the Adamantine +1 shirt and pants can be bought pretty cheap on the AH and are best in slot in many cases. Getting and upgrading all your Artifacts will take some RP and time. I would recommend getting all your best in slot artifacts before upgrading anything past Epic quality. Upgrading to Epic quality is done pretty quickly, but slows down towards Legendary. 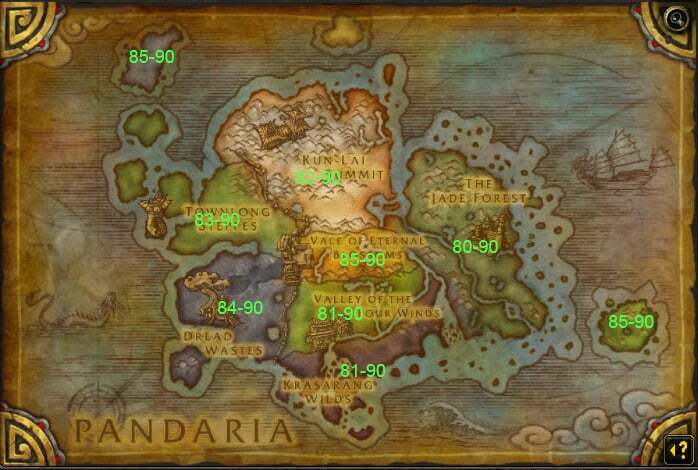 Most Artifacts are bought on the Auction House, in the Trade Bar store, farmed in dungeons or from the Artifacts of Legends quests. 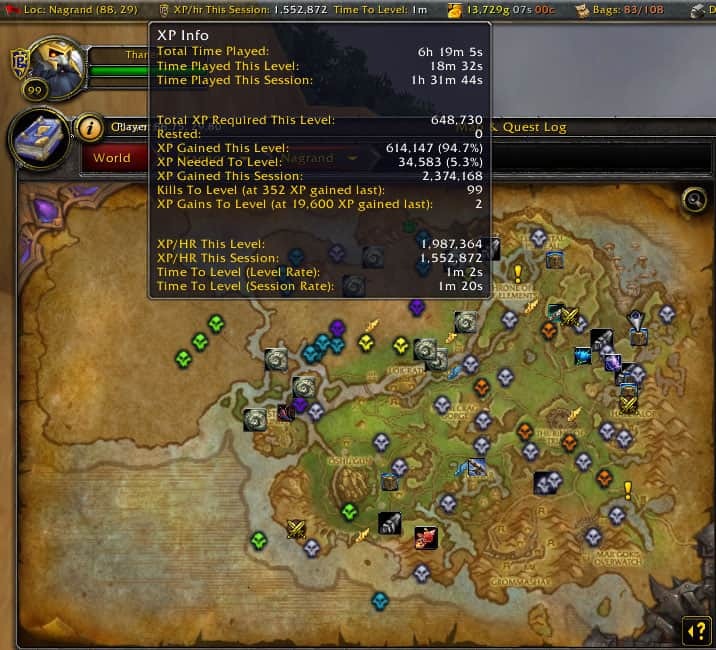 The best way to go about refining your artifacts is working on all of them at the same time. Refine all of the to the next tier, instead of working on them one at a time. Rank 7 enchantments are the last rank where they are still very cheap, so as a freshs level 70, get atleast rank 7’s for every slot. Then you can start on either refining your enchantments or buying better ones. Like with Artifacts it is much better to work on all of them at the same time. Take them all to rank 8, then 9, etc. The most important enchantments to get are Weapon and Armor Enchantments, along with Bonding Runestones (see below). 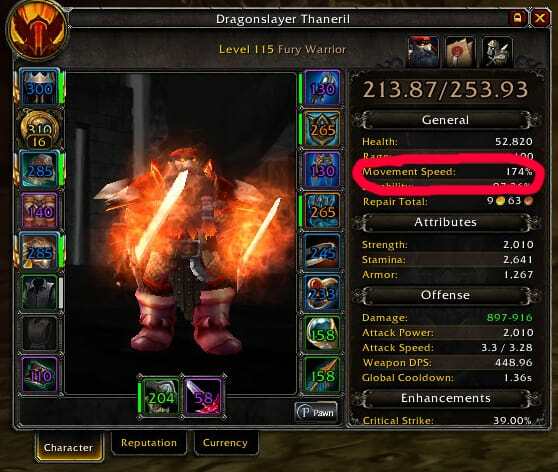 Having a good Weapon Enchantment will make a huge difference in your DPS and on how fast you can do all sorts of content. You will also want to get Dragon’s Hoard, Quartermaster’s and Fey Blessing Enchantments for your utility slots, so that you can earn extra RP. See our Refinement Guide, for more info. These can be made or bought on the Auction House and will boost your stats and item level a little bit. These are good to keep in mind when you need a little extra item level to be able to do new content. Next up we have companions. These also give you higher item level. The problem with companions is that they can be really expensive. So you might have to wait with the ones you actually want. So before you can get the good companions, get some cheap rare and epic quality ones. 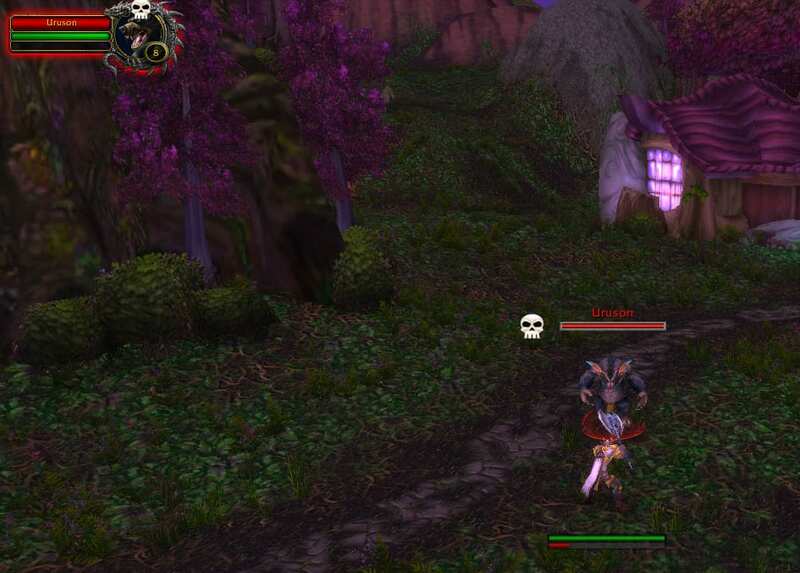 For example the epic quality Redcap Powrie only costs around 10k AD, and does actually do a fair amount of damage. Rare companions are item level 50 and rare are 100, so it’s a nice boost. 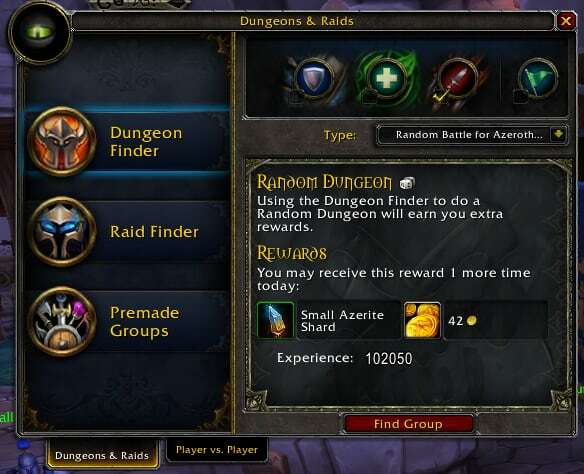 Your end-game companions will mostly come from the AH. They are expensive but usually worth it as they can provide you with some big boosts to DPS, healing or to you defensive capabilities. Work on getting all your active companions to epic quality, and your summoned companion to Legendary. Only your summoned companion will have any real benefit from being Legendary quality. Although it will increase your item level by having them all Legendary. Bonding Runestones are some of the most important items you are going to get. Buy the highest rank of these that you can afford. 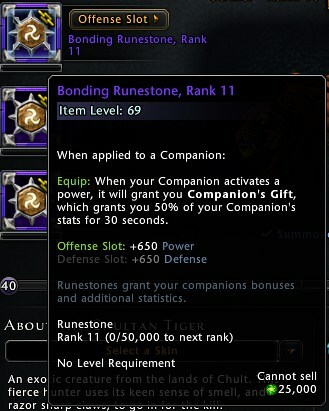 Bonding Runestones will grant you your companions stats, and when you stack three of these it can give up to 195% of their stats, if you have rank 14’s. They are far better than any other Runestone. You will also want to get some gear for your companion. Item level 420 companion gear is quite cheap to get on the AH, or you can farm it yourself in Illusionist’s Gambit. Slot the gear with at least rank 7 Enchantments. Remember to refine or buy new Enchantments for your companions as you upgrade your own. Eventually you will want to start upgrading your companions gear. 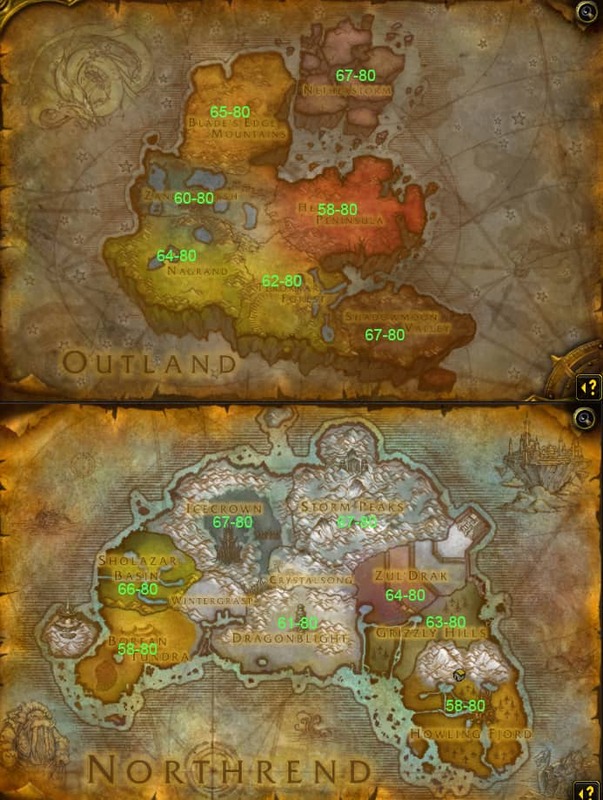 Either run Illusionit’s Gambit to farm it, or buy new ones on the AH. Some of it can be pretty expensive though. Bronzewood and Beaded Rings can also be good alternatives to get double offensive slotted rings for your companion. And of course legendary rings, if you are lucky enough to get a few of them. 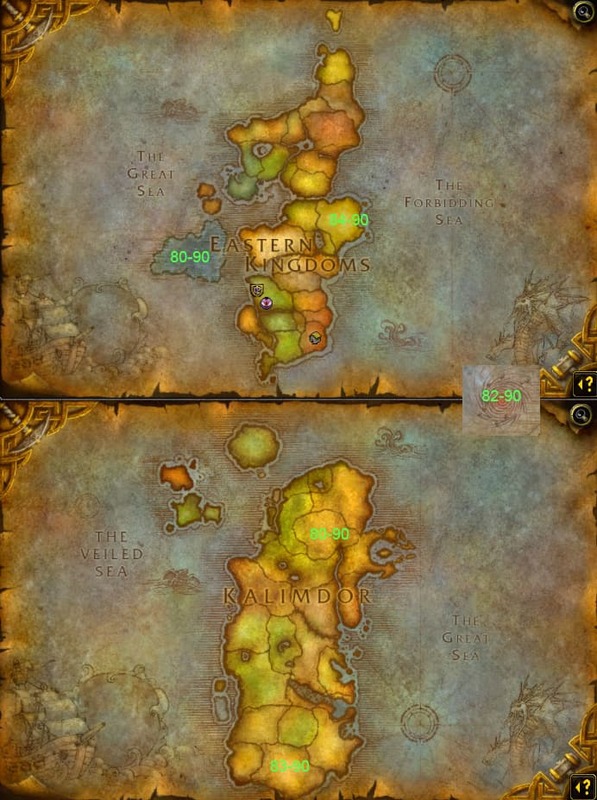 As a new level 70 you can buy cheap mounts off the AH, or from the mount vendor, or they can be gotten from events. Slot each of your mounts with 2 or 3 insignia’s. You will then want to look at what insignia bonuses you want for your character. Wanderer’s Fortune is a good one to get for any character as it will provide you with some extra RP every day to upgrade your gear. 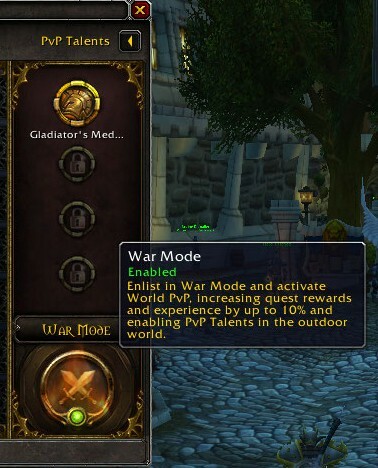 When you know what bonuses you want, start saving up for mounts with slots for these bonuses. 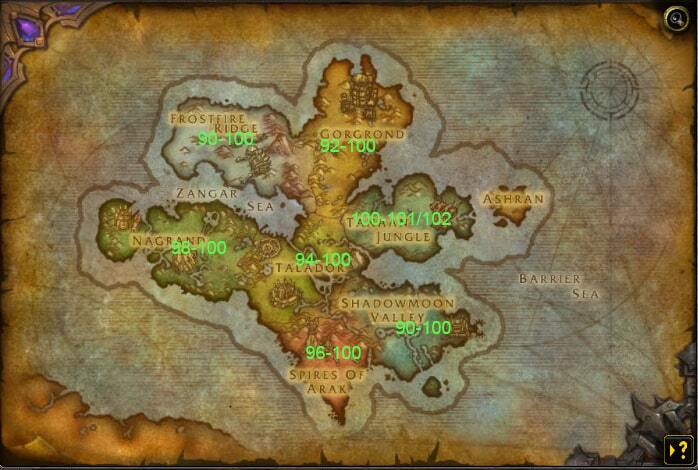 Our Mount Insignia Bonus Guide has more info on this. Finally you can start saving for your Legendary mount. Boons also affect item level. 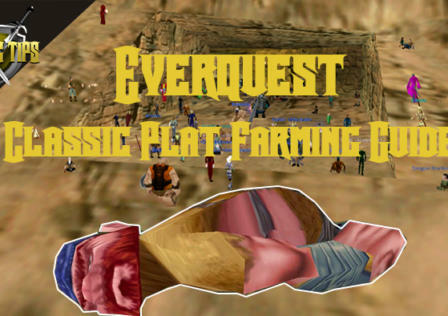 Work your way through the modules by doing daily and weekly quests. 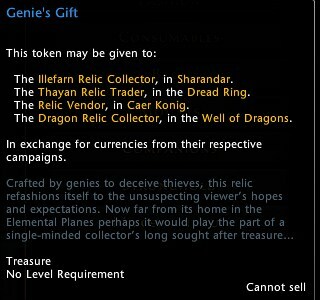 You can also buypass them by buying completion tokens from the auction house or from the zen store. We are currently writing a campaign completion guide with the fastest ways to complete each module. 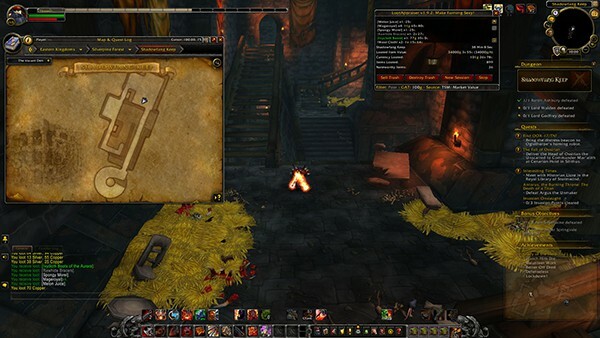 Joining a guild and activating the guild boons, is one of the quickest and best ways to increase your item level quickly. Hitting Astral Diamond cap. AD is one of the most important factors to improve your character. Remember our Astral Diamond Guide. Getting your best in slot gear. Getting your Artifacts, Weapons and Enchantments so you can farm RP to upgrade them. Working on your uncompleted modules.